Management of the Nigerian Ports Authority (NPA) has expressed pride and confidence in the special ability of the women folk in an effort to enhance the Maritime Industry and improve the Nation’s Economy through incursion into areas supposedly dominated by men. 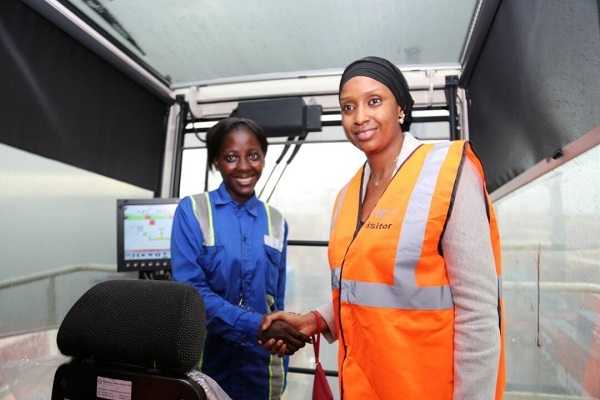 Speaking at the Tincan Island Container Terminal Ltd (TICT), the Managing Director, Hadiza Bala Usman eulogized Matilda Adeniran, Tina Onwudinwe, Abiola Adegoroye and Mary Ajayi who became the first set of professionals in the whole of Africa to be trained in the Operation of Rubber Tyre Gantry (RTG) (A specialized Cargo Handling Equipment). Usman poured encomium on the them for being champions who are able to work effectively in a new environment and that the sky is indeed their limit. 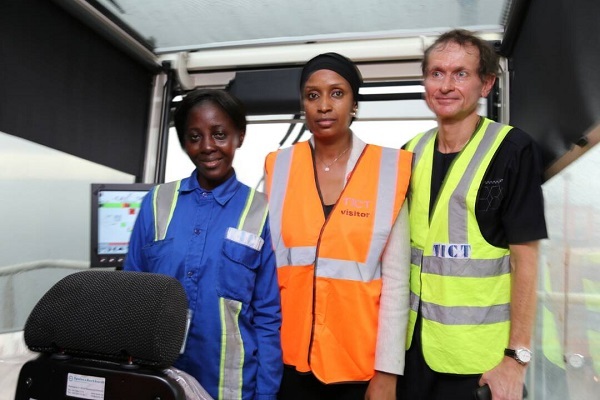 The Managing Director of TICT, Etienne Rocher had earlier in his statement asserted that his company has set a record of training the first set of Nigerian ladies, who can successfully operate the Rubber Tyre Gantry (RTG) in the whole of Africa and that TICT, is proud to be a trail blazer in this area. 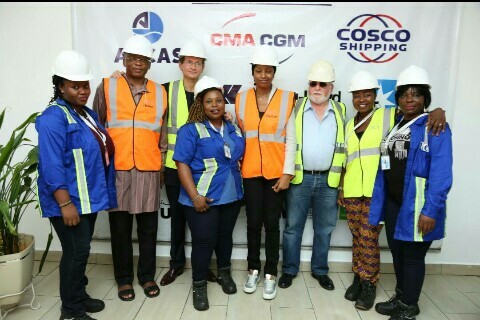 Rocher, further stated that the ladies have favorably performed in this field and adding that in the long run, their efforts would help to retain Nigeria as one of the biggest players in the Maritime sector and in the sub region.